Hand Painted Artwork On Canvas Stretched And Attached To Wooden Stretchers, Encased In A Silver Leaf Gallery Frame. Due To The Handcrafted Nature Of This Artwork, Each Piece May Have Subtle Differences. 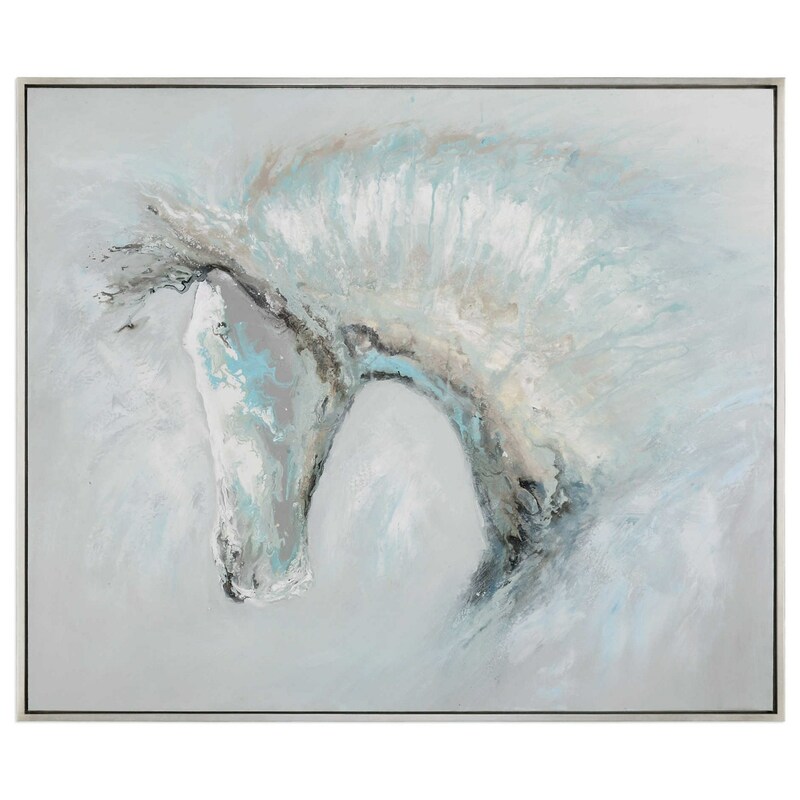 The Art Ice Illusion Horse Art by Uttermost at Rooms for Less in the Columbus, Reynoldsburg, Upper Arlington, Westerville Ohio area. Product availability may vary. Contact us for the most current availability on this product. Browse other items in the Art collection from Rooms for Less in the Columbus, Reynoldsburg, Upper Arlington, Westerville Ohio area.